After nearly a decade of Hamas rule in the territory, poverty and unemployment are higher than ever. AP - The clothes were faded and worn out, and came from an unlikely place: Israel. 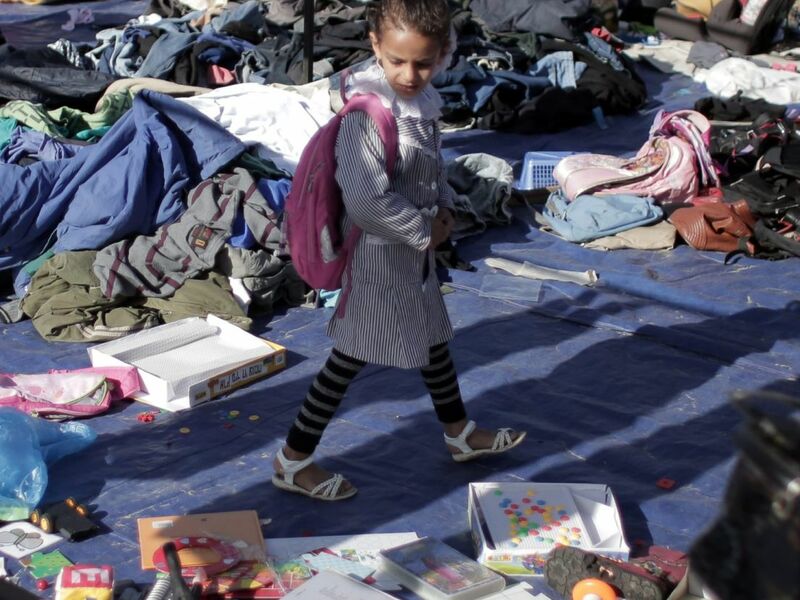 But that didn't bother the Palestinian women rummaging through piles of tattered jeans, shirts, jackets and baby clothing at the weekly flea market in a refugee camp in central Gaza. 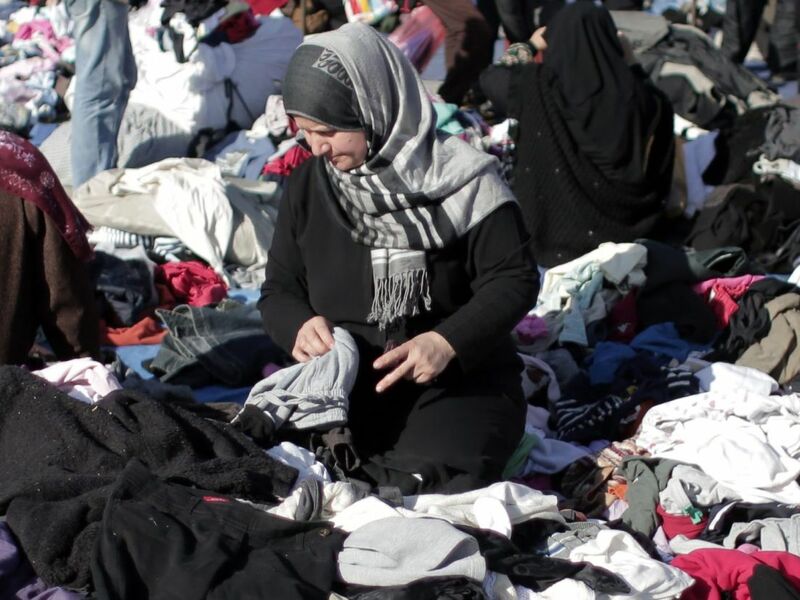 Demand for the garments has become a barometer for the economic situation in Gaza, where after nearly a decade of rule by the Hamas militant group, poverty and unemployment levels are higher than ever, and the market for used clothing is buoyant. Hamas, an Islamic group committed to Israel's destruction, has been hit hard by several factors. It has fought three painful wars against Israel since it seized control of Gaza from the rival Fatah movement in 2007, and a blockade imposed by Israel and Egypt has stifled the economy by barring movement of goods and people in and out of the territory. Israel and Egypt say the blockade is a needed security measure to prevent weapons smuggling. On Monday morning at the outdoor market in Nuseirat, vendors stacked clothes on blue tent fabric. Dozens of women, most of them donning black Islamic outfits that covered their faces, eagerly inspected the clothes and set aside pieces they liked. Holding a one-piece baby pajama in one hand, a woman who identified herself as Um Khalil fished around the piles for more. Although the clothes were worn out, she said the price was too good to pass up. "A new shirt could cost 100 Shekels (about $25) at stores. I buy for all five of my children from here for 20 shekels," she said. As for buying clothes once worn by Israelis? Not a problem, she said. "The price is affordable; we wash them and put our trust in God." Like nearly half of all Gazans, Um Khalil's husband is jobless these days. A tile setter, his work has dried up in recent years as Egypt closed down most of the cross-border smuggling tunnels that brought in cement and other construction material. A few years ago, the tunnels served as Gaza's economic lifeline, and Hamas collected millions of dollars monthly taxing the smuggled goods. Back then, Hamas sought to restrict the imports of used Israeli clothes. But the 2013 overthrow of Egypt's Islamist President Mohammed Morsi, a Hamas patron, and a devastating 50-day war with Israel in 2014 forced the group to reconsider. Egypt's current president, Abdel-Fattah al-Sissi, has destroyed nearly all of the tunnels and has cool relations with Hamas, which he accuses of working with militants in Egypt's Sinai Peninsula. Tareq Lubbad, spokesman for the Hamas-run National Economy Ministry, said Gaza was forced to increase imports after the 2014 war because many of its factories were damaged. 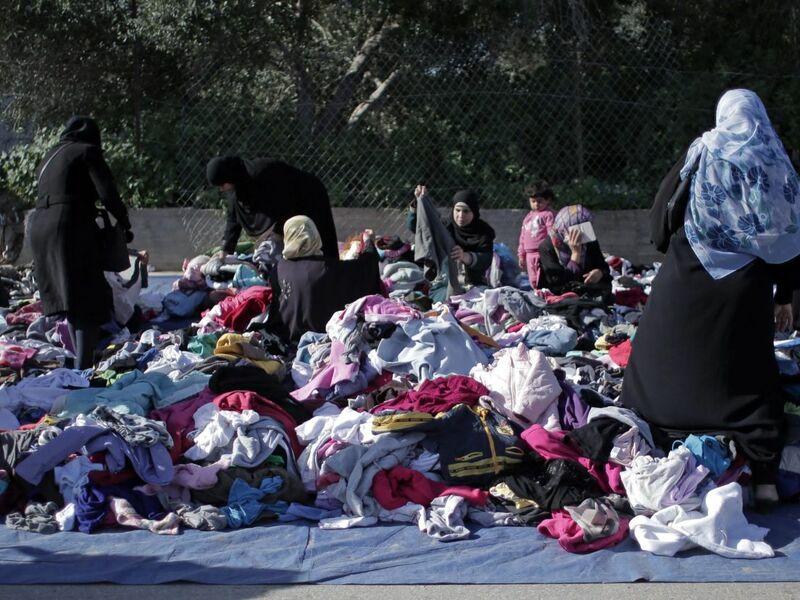 Now, he added, the secondhand clothes "are wanted very much by the Palestinian citizen." 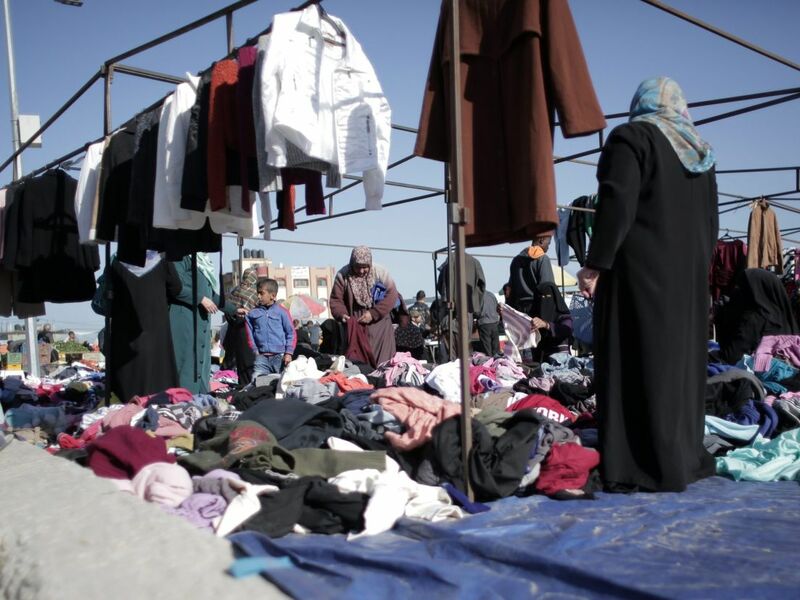 Every month, local merchant Fayez Miqdad brings in 20 tons of clothing through Kerem Shalom, the only commercial crossing with Israel, and sells them at weekly markets throughout the Gaza Strip. Due to new taxes introduced by Hamas last year, the clothes cost him 4,000 shekels per ton, up from 3,000 shekels. 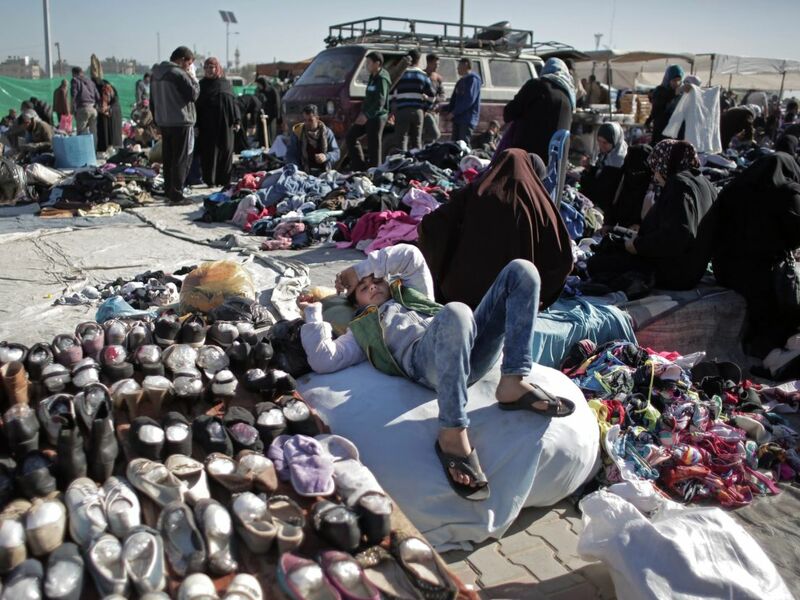 Miqdad is among seven Gazan businessmen who import used clothes. He claims to be the oldest, having worked with an Israeli business partner for 40 years. Whenever his partner gets enough clothes, Miqdad said he goes to Tel Aviv to inspect the shipment before it is sent to Gaza. He is among some 2,355 Gazan merchants who have permits to enter Israel to conduct business, according to COGAT, the Israeli defense body responsible for Palestinian civilian affairs. "I go to Israel two or three times a month," he said, showing his Israeli-issued permit to enter Israel for trade purposes. When the bales arrive, the importers select the newest pieces or those with designer labels. These shirts, hoodies or overcoats are not to be piled up under the sun in the markets, but are destined for used-clothes stores, which have been on the rise recently. The "more desirable" items make up maybe 5 percent of each shipment, said Miqdad as he sat at the open back of his Volkswagen van, smoking cigarettes and making coffee on a portable gas stove while his five workers hawked the clothes. In case of disagreement over the price, the buyer is referred to him. A woman in her 50s came and it happened to be a relative. She argued with a worker who asked for 10 shekels for several items. Miqdad lowered the price to seven shekels before settling on a final price of five shekels. "In the past, people had money and only took the good items," he said. "Now everything is sold: the clean, the bad, those that cost one or two shekels. Everything is sold because there are no jobs for the people."